Z1 Motorsports uses an in-ground Dyno-Jet 224X to provide an accurate measurement of your car's power and torque at the wheels. Baseline runs are perfect for determining your car's starting point before you begin with any modifications. Once you have your baseline power and torque numbers you can get an accurate measurement of the gains from installing basic modifications like a cold air intake or high flow exhaust. A full dyno tuning session is absolutely essential after major modifications such as a Nitrous install, new turbos, a supercharger, fuel system upgrades, or any engine management upgrades. 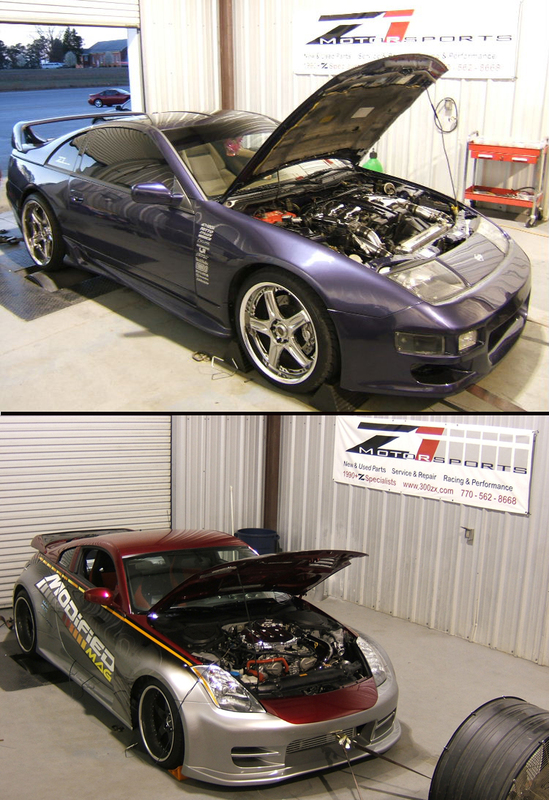 Z1 Motorsports specializes in Eprom tuning for the Z32, Uprev Osirus for the 350Z, G35, 370Z, G37, and GTR and Haltech tuning for all models. All dyno tuning services are by appointment only. Call 770-838-7777 to schedule your tuning appointment. Additional $1 per 1 RWHP over 600 RWHP.